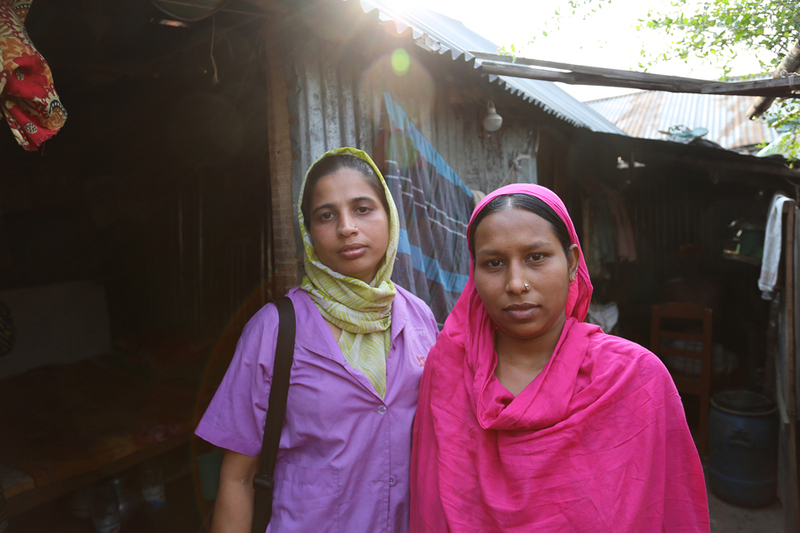 This International Women’s Day, meet the community care worker who is helping to improve the lives of girls and women in Dhaka. In Dhaka’s Korail slum, one of the largest in Bangladesh, life is hard. 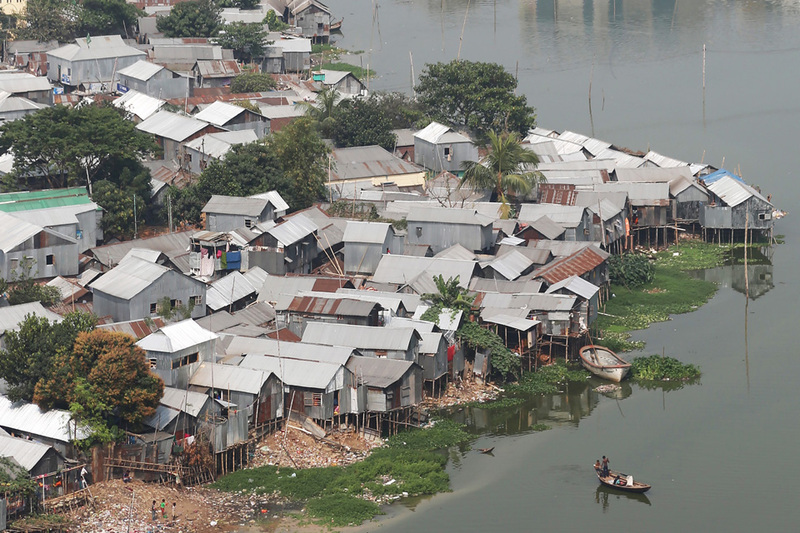 In this maze of makeshift homes, most of the residents live below the poverty line. But for the girls and women of Korail, life is even harder. They not only face poverty, but also the prospect of child marriage, early pregnancy and even physical harassment. 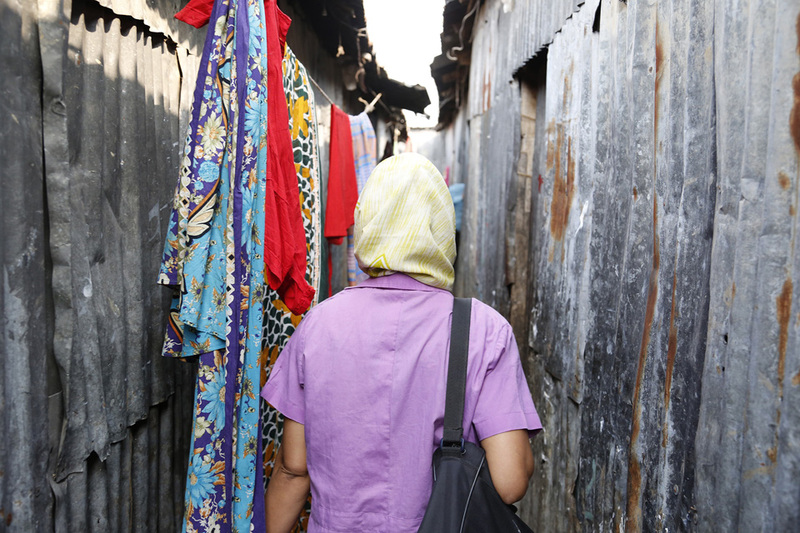 Despite the hardship, there is hope - thanks to local women like Parveen. She is just one of the inspirational health workers who live and work in the slum, providing practical help to the women in her community. BRAC has changed my life by giving me the opportunity to become a community health worker and serve my own community. In addition to some financial benefits, my role and contribution as a health worker has enhanced my position and acceptability in the community. I cannot explain to you the feeling of an empowered and valued woman in the community that I gained due to my involvement with BRAC Manoshi. The primary purpose of the programme is to deliver high quality healthcare services for the mother and child in urban slums, through development and delivery of an integrated, community-based package of essential health services. Trained community health workers like Parveen are selected from the community and each cover 200 households (about 1,000 people) providing basic health services for women and their children - from family planning to advice on what immunisation their babies need. Thanks to the work of Parveen and her colleagues, fewer mothers are dying in childbirth. From 2008 - 2014, maternal mortality dropped by half in Manoshi project areas compared to the country’s average. And the babies are healthier too - the rate of newborn deaths is much lower in areas covered by the programme compared to elsewhere in the country (15 deaths per 1,000 live births compared to 194 per 1,000 live births nationally). But Parveen’s work doesn’t end there. In addition to her role as health worker, the mother-of-two finds the time and energy to be an active member of her local women’s empowerment group – helping to educate and raise awareness around issues such as child marriage and harassment. I have a daughter aged 13 years at secondary school and a son of 8 years old who is going to primary school. I spend most of my income for our children’s education and have also saved some money for the future. My husband used to work as a driver before, but recently, we bought our own second-hand car from our joint savings. My husband is now driving his own car as private taxi and earning much more than before. It was not possible for us to get this far without the support of BRAC. Both myself and my husband did not get chance to go to college. Now our only vision is to see that our children complete higher education from university and are well established in their life. I believe BRAC will support me always to make my dream true.